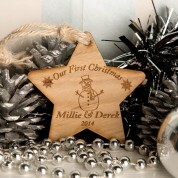 A personalised star makes a unique Christmas gift for any newly married couple. 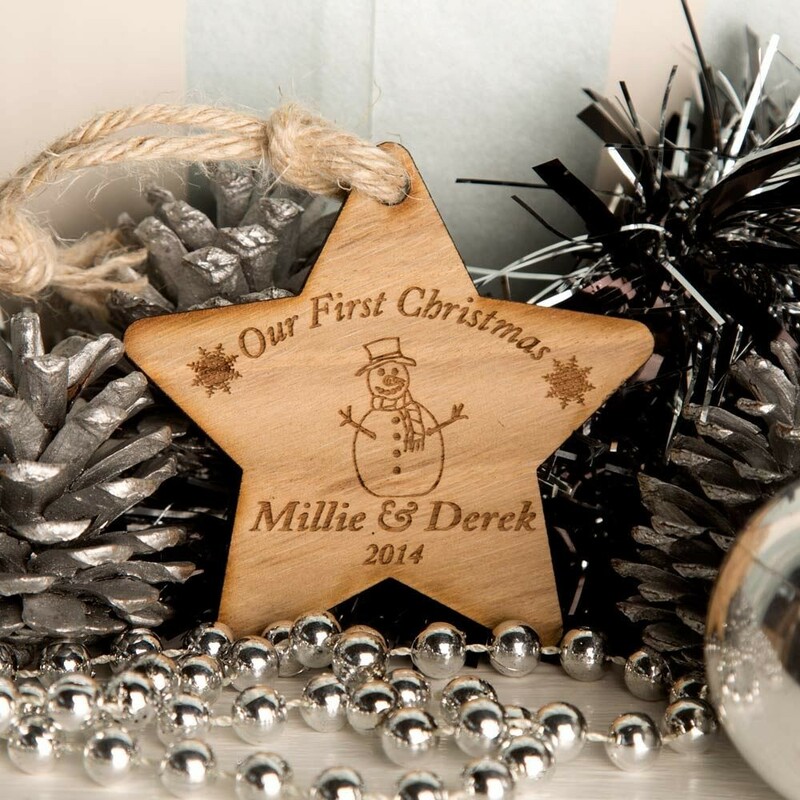 It is a lovely festive addition for any home or Christmas tree. It is a great way to remember the important date in years to come. 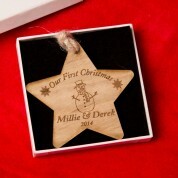 Each star is laser cut which creates a rustic finish to the gift. 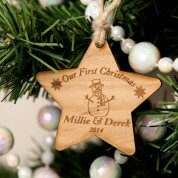 The personal details are laser engraved in house so is custom made for each happy couple. The star is well presented in a branded box so can be kept safe when the Christmas decorations go away for another year. Material: solid Scottish oak (Wood is a natural product so the grains of wood do vary slightly). Dimensions: size approx 7.5cm x 7.5cm x 5mm thick.